Watching all the movies on the Warner Bros. 50-movie box set that I bought for cheap. 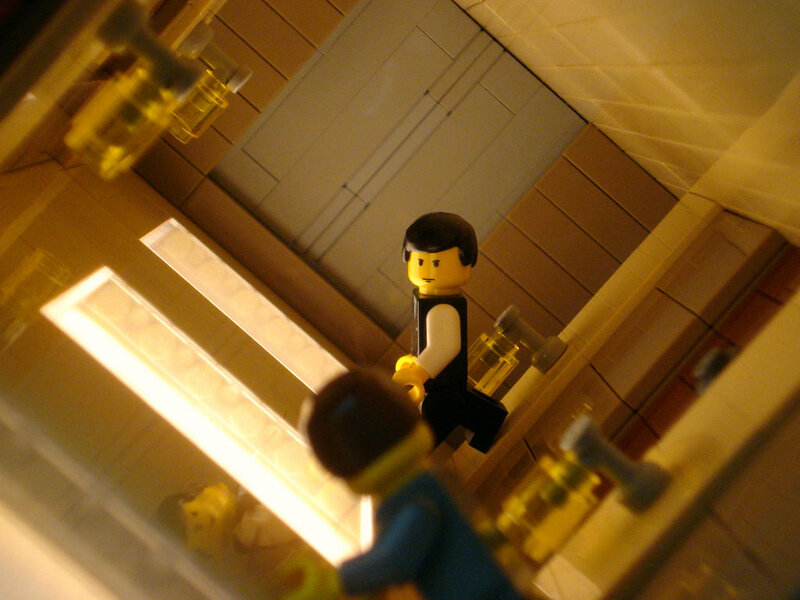 This week the random number generator selected the most recently-made move on the set, Christopher Nolan’s Inception. Here’s what happens: Cobb and his team are thieves, of a sort. Using a not-fully-defined technology, they are able to enter another person’s dreams and steal info straight from the subconscious. After getting into trouble with a rich businessman, Cobb’s crew is forced into one last job, to plant — or incept — an idea into someone else’s mind. This involves invading multiple dream levels, each one a different environment. Also, Cobb’s ex-wife Mal is lurking around in the dreams, and she’s not happy with Cobb. Why it’s famous: Eye-popping visual effects, and a twisty-turny plot that many found confusing. 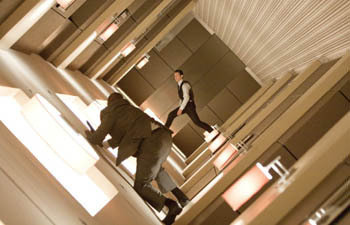 So much so, in fact, that the word “Inception” is often used on social media to describe anything weird or mind-bending. 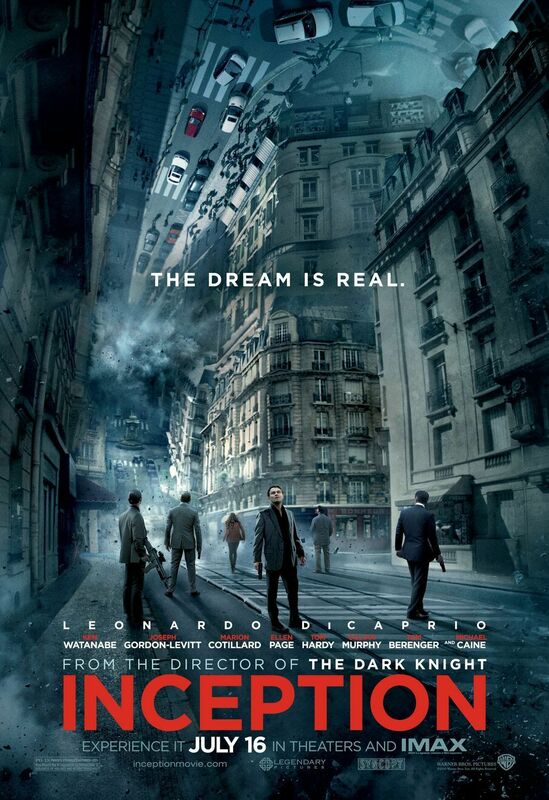 Get your film degree: If anything is possible in dreams (the movie says as much) then why does every dream environment look like a Christopher Nolan movie, either all golden-brown or bluish-grey? Part of that is just Nolan’s style, but I think part of it that Nolan wants everything fairly grounded so that the audience is never 100 percent certain just what is real and what is a dream. The movie’s final shot seems to agree with me. Movie geekishness: Inception famously ignores questions of how any of this dream-invading technology works, knowing that the audience doesn’t want to be bored with technobabble in an movie already overstuffed with exposition. What I want to know is, how widespread is this tech? Everyone acts like this dream-sharing stuff is relatively common in this world, but apparently only criminals use it? Thoughts upon this viewing: There’s no denying that Inception is a technical marvel, but something about it leaves me cold. I’m not sure it holds up to repeat viewings, as this time I felt impatient waiting for the next big set piece to begin.